J&D House Services aims to redefine the art of cleaning. We delight in providing a wide range of ith a winning mix of experienced, highly trained, adequately equipped, and skilled staff combined blems. We are only glad when you’re satisfied, sk to surpass setwith a knac standards, J&D House Services is your solution to all your cleaning proo we put you first all the time. Enjoy upfront and honest services from Warrington’s 1 family owned cleaning service. No hidden charges. No propaganda. Just stunning results that speaks volume! If there is anything left not cleaned through human error, we will be more than happy to come back and rectify this free of charge. We stand by our work all the time offering clients 100% satisfaction guaranteed! Expect professional cleaning services from a registered, insured, and reliable local business. We leave no corner dirty and wipe your house, office spotlessly. 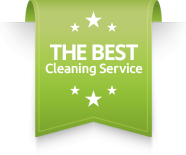 Not only do our services offer you amazing cleanliness you do not have to worry about hidden costs. You pay for what you see. We offer you a quotation with all the cleaning charges and that is all you need to pay for. We will partner with you from enquiries to a stunningly clean finish! We are glad to attend to all your concerns and inquiries in a polite, friendly, and professional manner. Absolutely fantastic! I can’t recommend this company enough. Just had my downstairs deep cleaned & I could eat my dinner off of the floor it’s that clean! Will definitely use again & again & again!!!! Excellent service received by J&D House services. The team were punctual, efficient and very thorough. I would highly recommend this company. Perfect cleaning services! Our oven is like brand new! Definitely would recommend to others! Used J&D House Services for an in depth clean of bathroom and kitchen today. work. I wouldn’t hesitate to recommend them. cleaned the windows outside as a good will gesture. Highly recommended!